This is not a prophetic statement but rather a prediction based on my own perceptions and interpretations of peculiar signs or clues. As for the ‘high’ of 17570.00, for me to explain why or how I have concluded that this is at or about where the market will collapse would be very difficult, if not discrediting. I can only say that why it seems like key economic figures often have some numerological significance and connection to me personally, I don’t know (actually I do but you wouldn’t believe me if I told you). Maybe it has something to do with my birth date of 9/17/57. At any rate, I share this feeling a sense of obligation. I know there are many, many more individuals who have a sense something of Biblical proportion is about to happen. On the global scale, so many things are teetering on the edge just waiting for the untimely breeze of misfortune to turn its way. The 17.17 is hitting home with me and this is one of many times I have seen this done. Those who are familiar with government-sponsored organized targeted stalking are well aware of this occult, numerological psychological assault. Associated Facebook comment: No doubt this may seem a bit bazaar in places but there is an element of hedging or positioning that I can’t really explain. For those of you who are familiar with organized stalking, you might understand better the various ways they can psychologically attack someone including the use of numerology. I’ve been a victim of the occult numerology which can be delivered in just about anything that uses or is related to numbers including the stock market. Some of you know that I use the pen name or artist name, ‘elijah1757′. If they are going to make the stock market drop on or around that number, this is an attempt to head them off at the pass. But more than that, I think a major False Flag is truly in the works and I encourage you take what elements of this you feel are significant as a heads up. I’ll continue to add to this as I feel led or as things develop. Blessings in Jesus’ name. 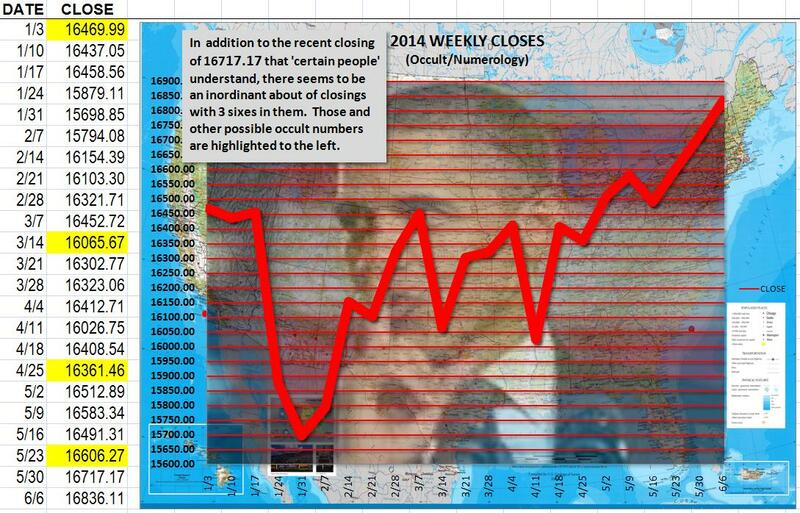 I have identified numerous times where obviously occult numerology is used in the stock market date. And though the 3 sixes is not necessarily indicative of something substantial, those who are are knowledgeable about numerology — and not on “their” side — would most likely agree. Isn’t it interesting that I happened to choose this CHEM-TRAIL photo with the lines running perfectly parallel to the trend line? 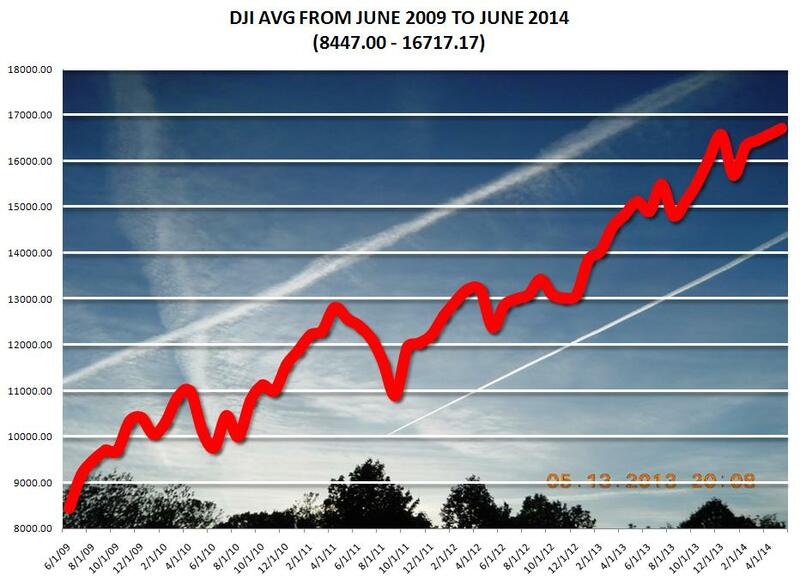 This was purely happenstance on my part but maybe the “growth rate” or trend of the chemtrail angles was not so coincidental. 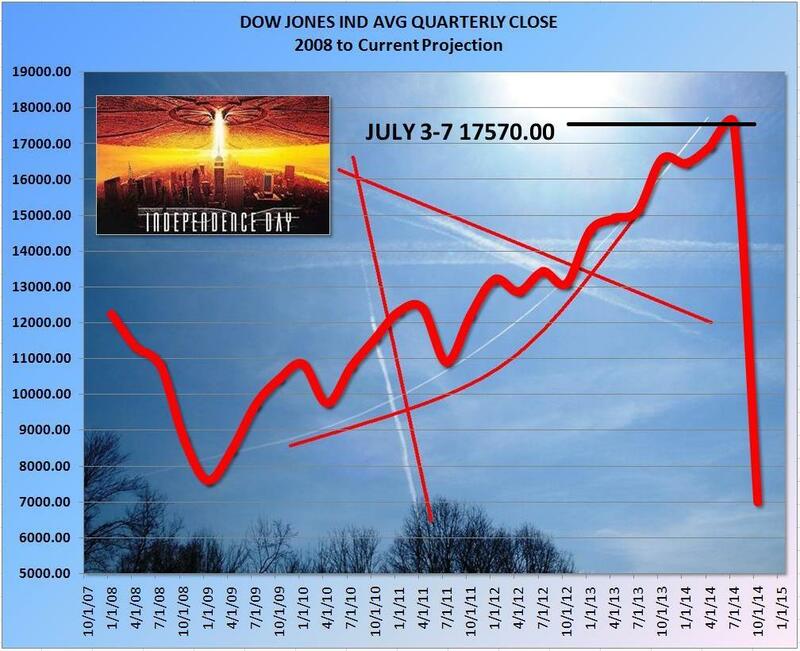 Another amazing “coincidence” with a CHEM-TRAIL, this time the square (bottom portion) of the Masonic Logo follows the stock market trend during Obama’s time in office beginning with the previous election year. Along with a number of others, I’ve speculated on the different details of the missing Malaysian airplane, Flight MH370. But it wasn’t until I was working on this graphic that I realized that the MH could be symbolic of MayHem, and the Allstate commerical of “Mr. accident” looking for a place to happen. 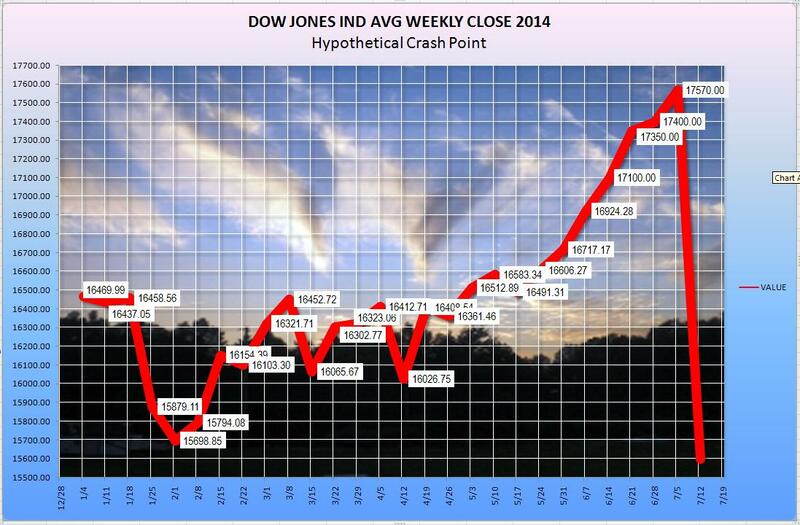 Notice that the jet leaving the chemtrail behind is captured nearly at the exact point of the downward ‘CRASH’ of the market. I tell you in all honesty that is did no adjustment to the stock chart other than adjusting the ranges to fit the trend line in the photo. It’s very, very strange if you ask me. Here, I included an upside American flag signifying the distress signal overlaid with the tyrannical NDAA abbreviation for Nazi Detention Authorization Act or something like that. I’m telling you folks they have more control than we can even imagine. I’ve been telling everyone ever since they tried to blow my mobile home away — with me in it — that they can control the weather. I’ve also said they control the stock market to the penny with highly advanced computer algorithms. 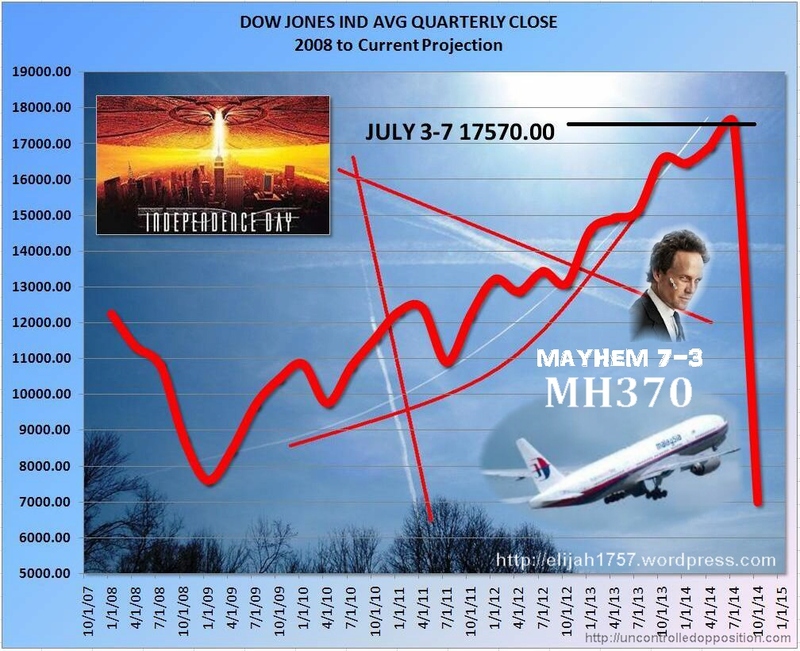 This background photo, taken in August of 2011, is evidence of predictive programming. 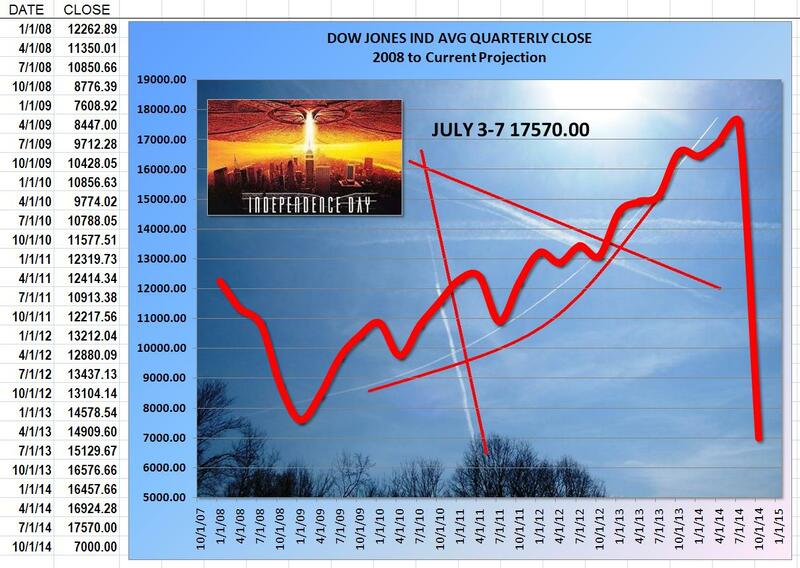 I have used this photo frequently in discussing weather modification and in what world they can make things so bazaar I don’t know, but the alignment of the stock market movement with the above cloud formation is beyond strange. 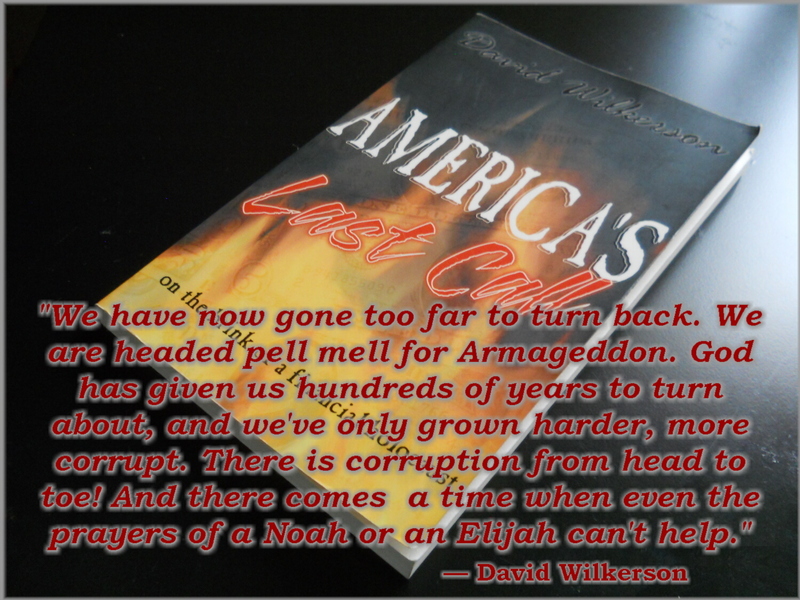 This book, AMERICA’S LAST CALL – On The Brink of Financial Holocaust by David Wilkerson was published in 1998. As the title says, this was our last call. 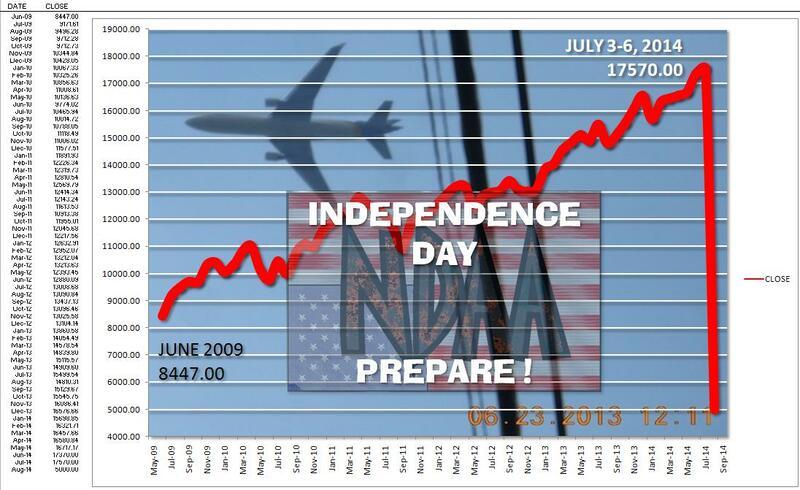 The subtitle being of a financial nature is compelling to this hypothesis of a stock market crash around 17570.00 mark. Though we may be too little, too late to stop what is about happen, we can get a few ideas of what to expect by reading AMERICA’S LAST CALL online at: http://www.realcountrylife.com/americas_last_call.pdf. — These are not children. These are young men who have the potential to do great harm to America. 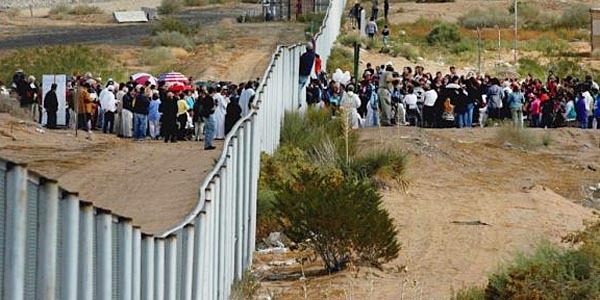 Why is our government allowing these ‘gangs’ to simply walk across the border? — I believe it is part of a great plan, that plan being: CHAOS before ORDER. I really don’t believe these articles are conveying the real truth. The impression given is that these are children migrating across the US/Mexican border. But the likelihood of children old enough to handle this level of adventure would lead to the conclusion that most of these are older children, teenagers, and young adults. They are quite capable of causing great strife amongst the populace. The craftiness of children can be realized simply by recalling the movies, OLIVER, and NEWSIES. 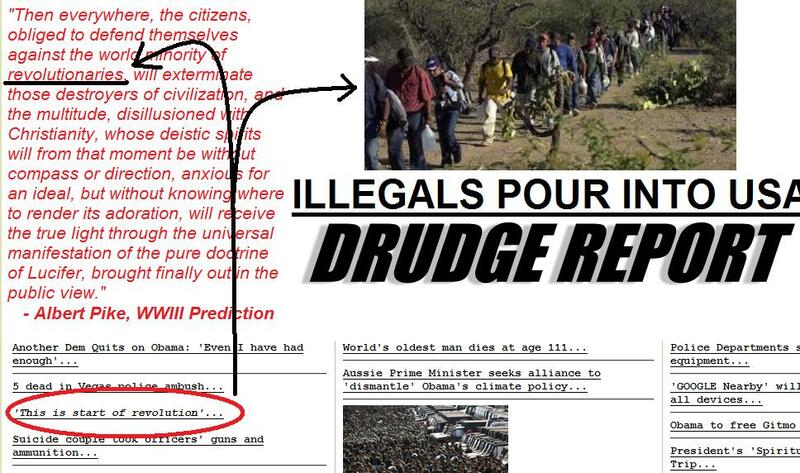 Facebook comment: An earlier post, “The Coming Chaos” connected the influx of immigrating youth from Mexico to a possible end-time youth rebellion predicted by David Wilkerson. From this article we have: “What really frosted me about this story is that the “humanitarians” act like they have no idea why the kids are coming in such great numbers when there have been so many stories about the dreamers! coming now in anticipation of amnesty before Obama leaves office!” We might correctly surmise that this is all part of the orchestrated take-down of America by the current Manchurian candidate and Illuminati agent, Barack Obama. David Wilkerson, in one of his messages, talks about the youth of the world rising up as a ferocious force against societies in the last days. 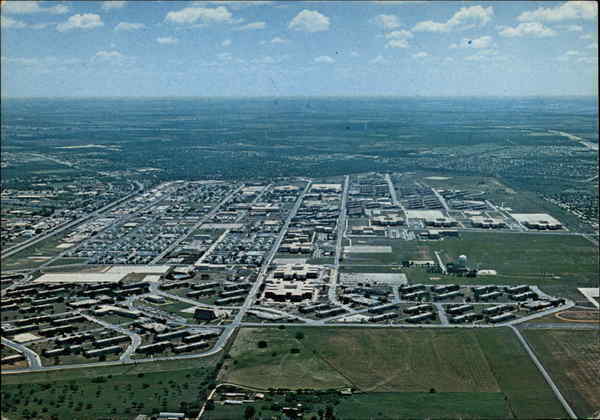 He said there would be roving gangs of children terrorizing cities, towns and neighborhoods. Where are we headed you might ask. 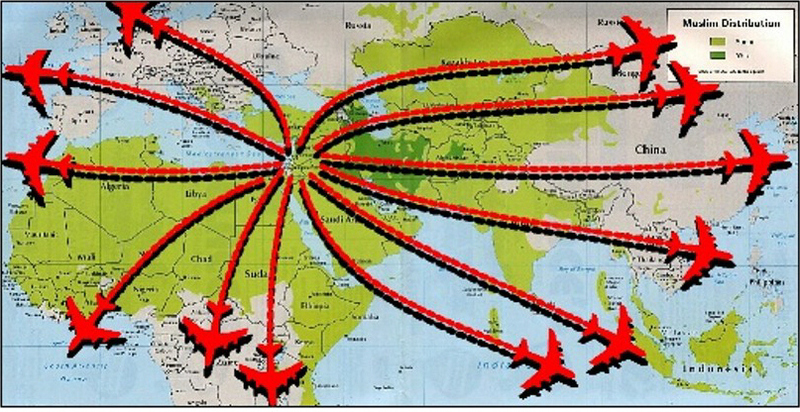 We are headed for the New World Order and in order to get there, the old world has to be destroyed. This is the Hegelian Dialectic. Order out of chaos. 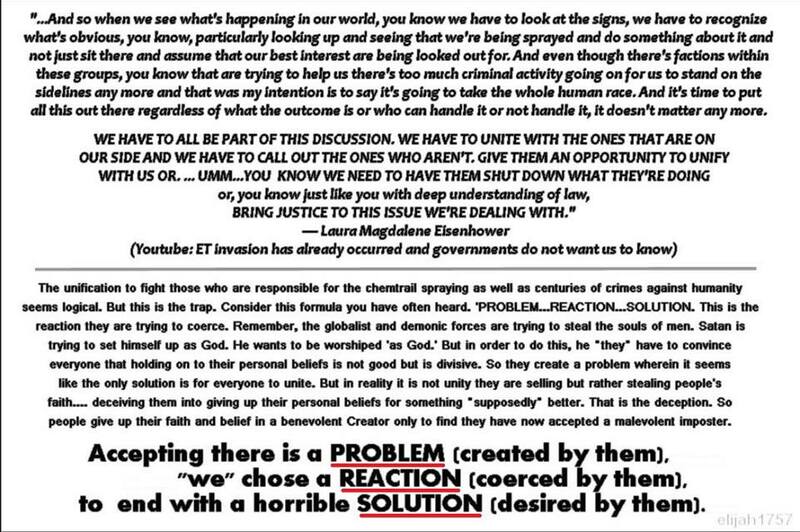 • Problem, Reaction, Solution • Thesis verses antithesis equals synthesis. 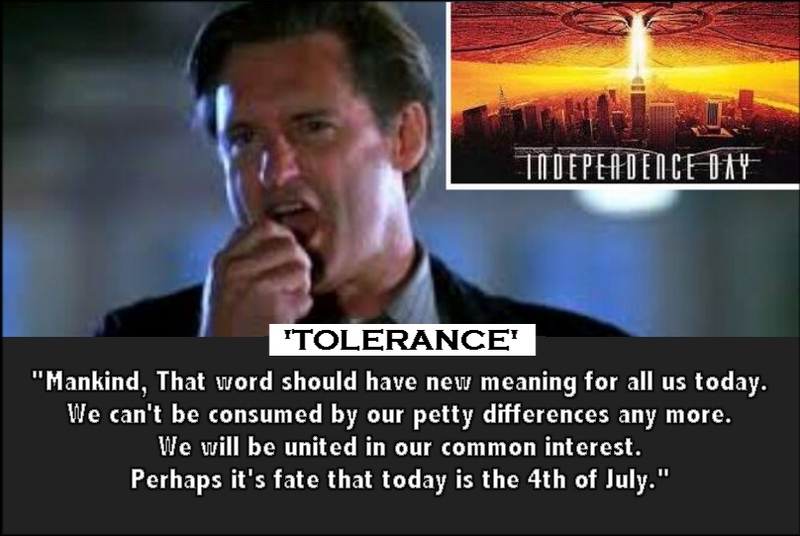 And just like the message given by the President in the movie, INDEPENDENCE DAY, we have to unite and give up all of our beliefs, values, and ideologies for the sake of the whole to fight this enemy that that have created. They achieve the order they want by producing and provoking the chaos we have to deal with. ORDER OUT OF CHAOS. 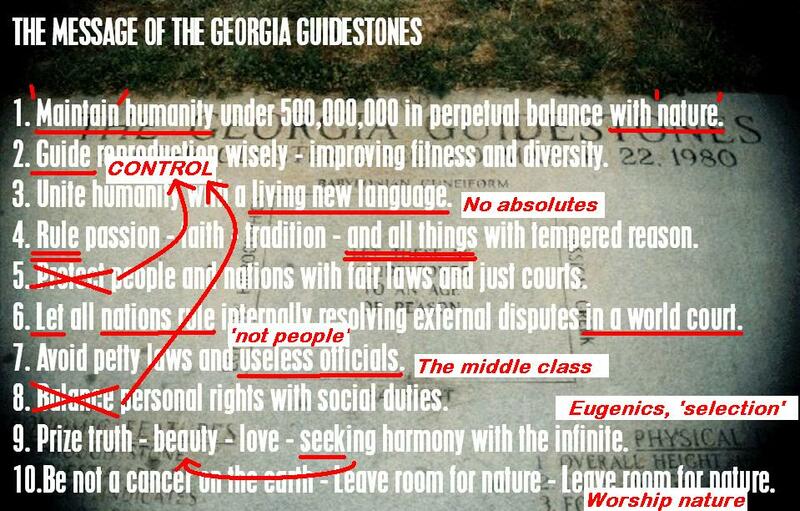 The Georgia Guidestones – Illuminati Ten Commandments? 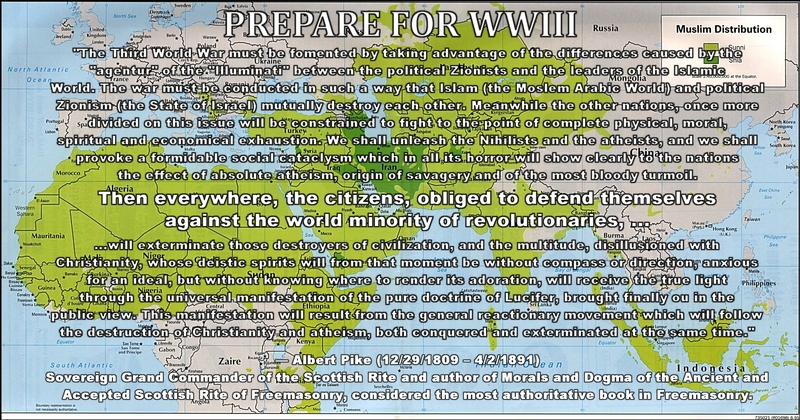 Albert Pike’s vision has likely been used for the game plan for WWIII. Considering the effectiveness with which the plan has unfurled, we can only conclude that it was a vision or plan revealed to Pike perhaps from Satan himself. Sovereign Grand Commander of the Scottish Rite and author of Morals and Dogma of the Ancient and Accepted Scottish Rite of Freemasonry, considered the most authoritative book in Freemasonry. The nation of Israel is a political trap. It was created by the Illuminati to foment WWIII. It is time for the true believers, those who are believers in Jesus Christ, they should be leaving Israel. This also applies to Christians throughout the world to prepare for the time of Jacob’s trouble. Certainly, all those in Israel, Jews, Christians, Muslims, atheists, etc. 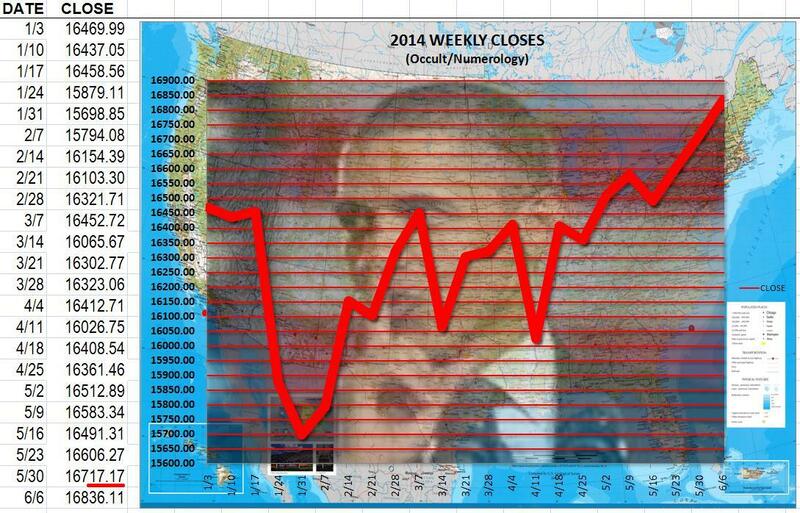 are about to enter a period of great turmoil. But the time of Jacob’s trouble is not about political Israel, but spiritual Israel (Jacob) which is the Seed of Abraham who is Christ. All who are in Christ ARE Israel. All Christians throughout the world are about to be pursued and hounded by the Islamic hoards and many other gangs of homosexuals, youths, and rebels. 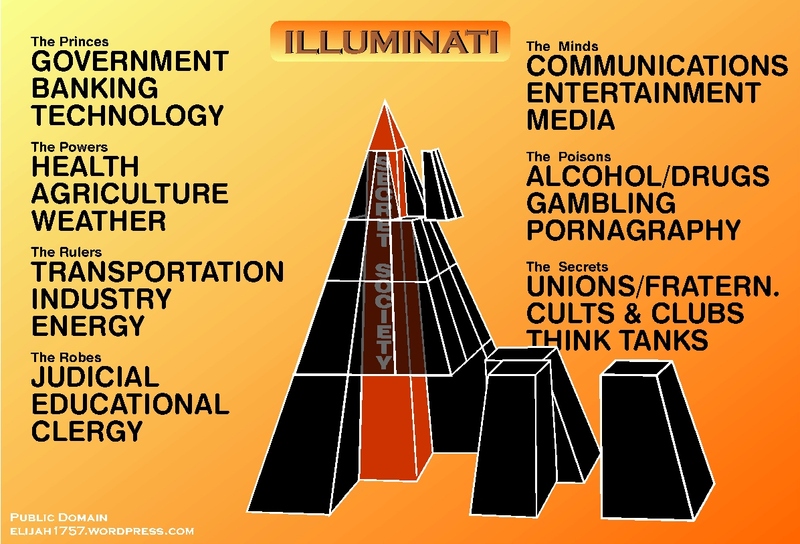 Understand the Illuminati and its globalist, New World Order agenda to rule the world in 45 minutes. Most of us are aware of the prophecy of the destruction of Damascus. With that in mind and trusting many of you are up to speed on False Flags and how nearly every war is started by these, what would the picture look like if Damascus were actually the ‘set’ for a False Flag of Biblical proportion, literally!? If Damascus were destroyed by a nuclear weapon detonated by the US/British/European alliance in a secretly orchestrated operation, wouldn’t they then deny any involvement and accuse Israel of the act? This may not be the exact scenario but whatever event happens, it will be a signal for a world-wide Islamic uprising against any who oppose them, especially Christians and Jews. And except for perhaps the destruction of Mecca or possibly the Dome of the Rock, I can’t think of a more provocative move — even fulfilling a great prophecy. 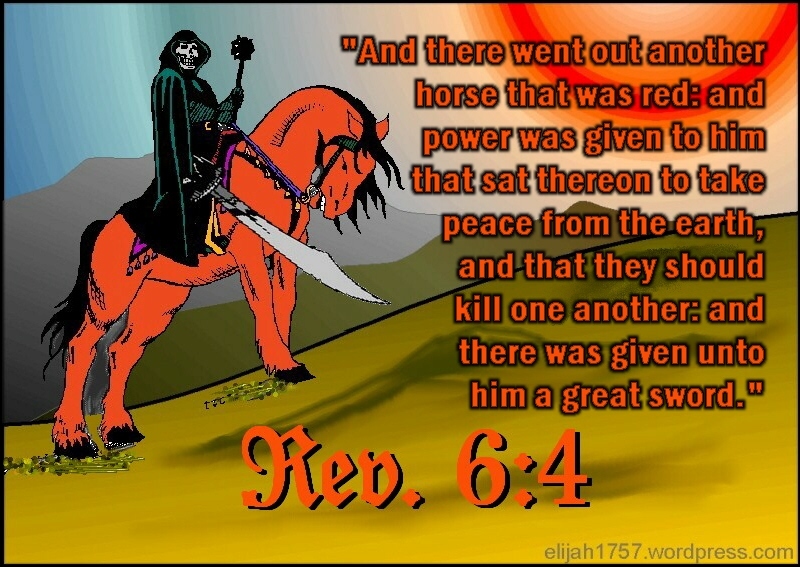 This is who Albert Pike’s vision is referring to as stated, “the world minority of revolutionaries, …” Is this fomented and provoked holy war the Red Horse of Revelation 6:4? Though I believe the great sword is symbolic of the Illuminati’s total war and population reduction plan starting with WWI, it is interesting that Islam uses the scimitar or ‘beheading sword’ along with the crescent moon in their national insignia or symbol. Of course if the Vatican actually created Islam centuries ago, they may have visualized how this created hedonistic and pagan religion would ultimately assault the world — the plan’s goal from the inception. If they’re catching 1000 per day, does this mean there are some they are not catching? For all we know, what they’re catching may be only a portion of the numbers actually coming in. I agree that it is orchestrated but believe the purpose is more nefarious. This mass influx of ‘MALES’ suggest something of a civic nature likely in synch with other planned events. Remember the Super Bowl halftime theme? ” The prepare message was ominous and mysterious during the Super Bowl. What did it mean? Is God Overlooking the Sins of America? I want to tell you about a certain society – one that cast God aside and consequently sunk into a pit of gross darkness. Despising the Light, this society became a magnet for every kind of evil spirit. Law and order collapsed; every man was a law unto himself. The entire society was abandoned to the devil, and no moral force remained to hinder its headlong rush into hell. I am actually describing two societies here: Sodom and America. We know of Sodom’s terrible end – and Scripture shows us that America is fast becoming another Sodom! Read more.